We set out to create a remote that could solve the complexities of controlling multiple entertainment devices, while introducing consumers to the broader value of a connected home. Consolidating functionality into one dedicated device solved the spacial problem, but to overcome button density issues with traditional "universal" remotes we needed to explore other ways of control. Our strategy was to balance three input mechanisms — buttons, touchscreen and voice. Natural language commands such as "I'm cold," would trigger actions in partner systems like Nest and reveal additional options of control on the touchscreen. By responding to commands like "ESPN" or "Dim the lights" the remote removed navigational steps that were previously needed to access deeper levels of control. We wanted a seamless plane between the digital and physical controls, fading the UI into the bezel to enhance the illusion that both controls were one. Sure, we could have just designed a full touchscreen device, but we would have lost the ability to use feel and muscle memory to mitigate distraction from the primary screen. To obtain a balance, physical buttons were only for the most important, frequently used actions, while contextual controls for A/V services were displayed on the touchscreen. 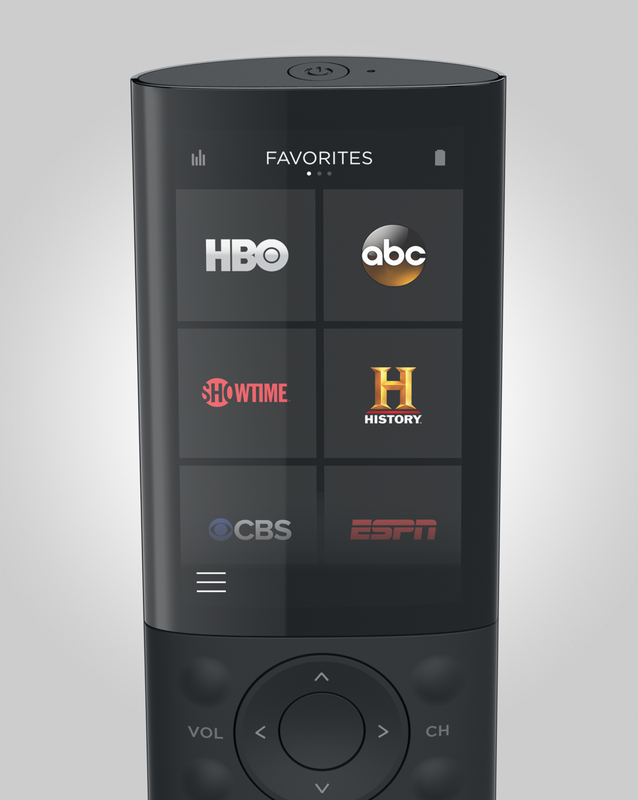 The Savant Remote was to become just one component of a larger experience platform of the home. We wanted the UI across all Savant products to be part of the same interaction language, so moving across experiences would feel seamless and intuitive. The curvature of the lens over the touchscreen helped to emphasize the behavior of swiping left and right across panels. It was important to ensure navigation across all controls could be preformed using one hand. The main UI was anchored bottom allowing most navigation to be accessed using just the thumb. 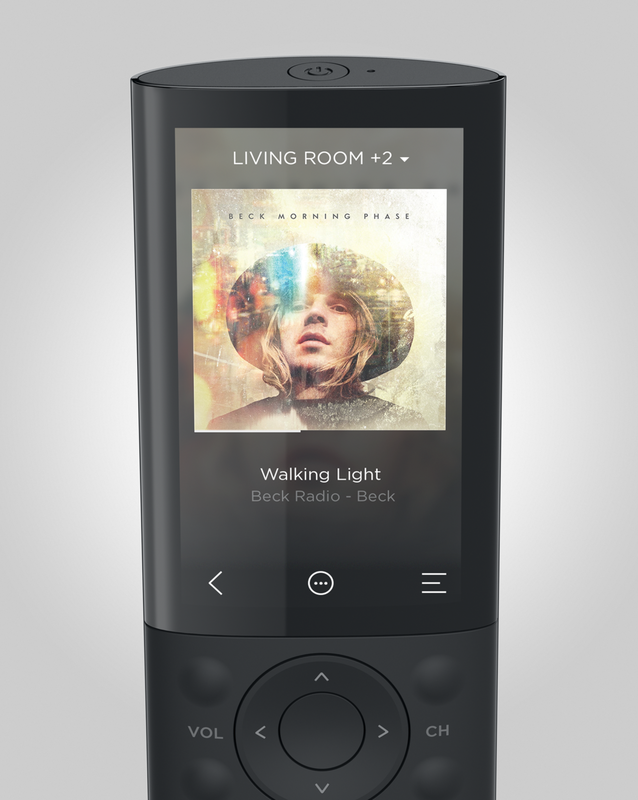 Residing in a common area of the home, the Savant Remote was designed to be a shared device, accommodating a broad range of users. By utilizing a subset of favorite channels assigned to each user profile during OOBE, we created an adaptable UI that could be tailored to the user. These favorites would populate at the top navigation layer and instead of launching the cable service and then navigating to a specific channel, the user would simply select the channel logo within the visual UI.